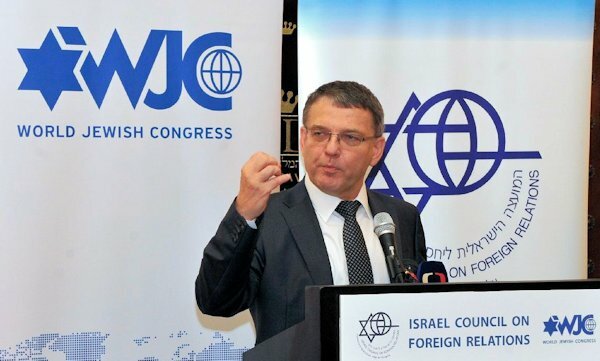 JERUSALEM — Czech Foreign Minister Lubomír Zaorálek has assured Israel that "despite reports in the media to the contrary, the Czech Republic does not intend to make any strategic change in its policies toward Israel." With respect to a debate in several EU member states about the recognition of Palestinian statehood, Zaorálek said unilateral steps were not helpful for the peace process. He also stressed that Prague remained “committed to Israel's right to self-defense." In an address to the Israel Council on Foreign Relations in Jerusalem, which operates under the auspices of the World Jewish Congress, Zaorálek said: “We know that the Israeli-Palestinian conflict is not the worst one in the Middle East, and we do not believe that once it is solved all the other problems in the region will go away." Zaorálek said relations between the Czech Republic and Israel were “excellent and will remain so," and added that he was proud of the fact that there was less anti-Semitism in the Czech Republic than elsewhere in Europe. "The Czech Republic continues to support the two-state solution in which Israel and a Palestinian state exist side by side in peace and even cooperation with each other," he told a capacity audience at Jerusalem’s King David Hotel. Asked about whether the Czech Republic would now recognize a Palestinian state, as Sweden did recently, he said that unilateral steps were unhelpful.